Patients with complex, chronic conditions have varied, often challenging care needs that evolve throughout their health care journey. Personalized care delivered through the latest technological innovations can help engage plan members in an easy and meaningful way, and deliver improved health outcomes. From biomarker testing that supports more precise medicine, to wearable devices that can track much more than steps, CVS Health is constantly testing new programs to identify ways to continue improving care for patients with complex needs. Given the pilot’s success, CVS Health is expanding secure two-way text messaging to 14 additional conditions in 2017, including cystic fibrosis, multiple sclerosis (MS) and some cancers treated with oral medications. Beginning next year, secure messaging will be expanded to include members who have been on therapy more than a year, in addition to those new to therapy. Innovations like this are particularly critical for chronic conditions because care for specialty patients is complex. In addition, the nation’s population is aging, health care spending on chronic diseases is going up, the government's role is evolving, and prescription drug prices are rising year over year, in some cases dramatically. Chronic conditions account for 86 percent of total health care spend and increasingly are treated with expensive specialty medications. The combination of more people with chronic conditions and more expensive medications means there is sharp upward pressure on spending. Digital tools can help lower costs and improve quality of care, while increasing member engagement. Digital tools enable us to offer members more ways to engage with us in the way that best suits their needs, lifestyle and preference. More and more, mobile phones are making it easier to reach patients at the right time. Mobile phone users, on average, check their phone 150 times a day. More than 64 percent of patients use a digital device to manage their health, and 71 percent believe it would be helpful for their doctor to have access to their information. In May, we also launched a wearable device pilot for members with MS, who have varying levels of disease activity. Far beyond counting steps to measure activity (which it also does), the device offers symptom monitoring, sleep tracking, and a “walk test,” which helps track trends in patient mobility and balance. Each measure may hold valuable information to help inform a patient’s care plan to improve health outcomes and control costs. Typically, such in-depth assessments only happen in a doctor’s office. Now, ongoing symptom tracking in combination with the walk test allows a CareTeam nurse, specially trained in MS, or other caregiver to identify symptom trends, such as visual disturbances or incontinence, which, with earlier intervention, could lead to better results. The devices also feature a "help" button that enables a member to alert a friend or caregiver in case of a fall, a common concern for people with MS.
Wearable devices are increasingly popular and may offer new and different ways to support patient care. The information they measure and track may help with coordinating care, optimizing the patient’s treatment plan, and avoiding extra fills of suboptimal or ineffective therapies. We continue to explore the use of wearable technology for members with conditions such as cystic fibrosis, Parkinson’s disease and rheumatoid arthritis (RA). Another area we are exploring, with a pilot that launched in the spring, is using biomarkers to help guide decision-making for members with RA, especially when they are considering a biologic. A key goal in RA treatment is to get a patient to the lowest possible disease activity as quickly as possible, in order to avoid joint damage that may require surgical intervention. The challenge is that patients can sometimes sustain joint damage even when they feel fine. Biomarker testing offers an objective look at rheumatoid disease. The results can be used in combination with traditional clinical approaches to help physicians make more informed treatment decisions, giving patients a greater chance of achieving therapy goals. We are also exploring a similar pilot for oncology and plan to extend the use of precision medicine to additional disease states. Makes it easier for members to pick up their specialty medications at a CVS pharmacy or have it delivered to a location of their choice***, while ensuring high-touch clinical support. Innovations such as secure messaging and wearable devices build on that flexibility by offering more support to patients in novel ways. 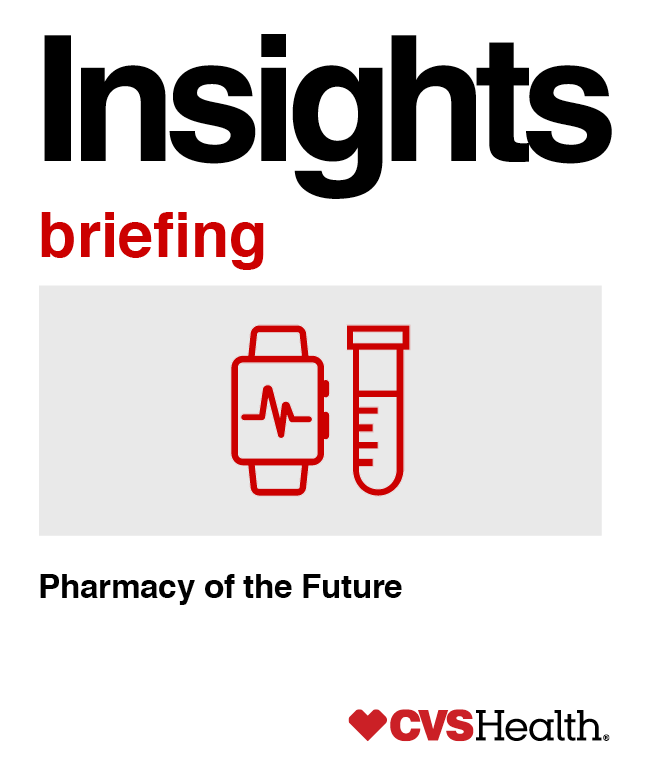 These innovations, as well as others we are investigating, allow CVS Health to provide deep insight into the complex and quickly evolving specialty market, while delivering value to members, their physicians and plan sponsors. Our integrated model – combining pharmacy, PBM, mail service, retail medical clinics and specialty pharmacy – allows us to deliver a seamless experience through a variety of touchpoints. Utilizing technology, in conjunction with our other integrated assets, helps improve care and control trend. *CVS Caremark Analytics, 2016. Results as compared to a control group. **CVS Health Enterprise Analytics, 2012-2013. ***Where allowed by law. In-store pick up is currently not available in Oklahoma. Some states require first-fill prescriptions to be transmitted directly to the dispensing specialty pharmacy. Products are dispensed by CVS Specialty and certain services are only accessed by calling CVS Specialty directly. Certain specialty medication may not qualify. Services are also available at Long’s Drugs locations.